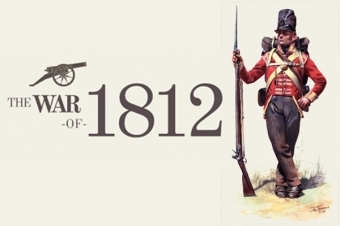 The War of 1812 was a series of seminal battles that shaped the Canada we now know today. Despite its name, the war actually lasted almost 3 years. Clashes stretched from Montreal all the way to New Orleans. Much of the fighting took place within the Niagara Region, including on and around our winery property. In June of 1812, the United States formally declared war on Britain, with the intention of annexing British North America (present day Ontario and Quebec). Just before the outbreak of the war, Britain's military manpower was severely strained due to the Napoleonic Wars in Europe, and so they forced British-born Americans into its Royal Navy. The British were also supplying the First Nations with equipment, and encouraging them to resist American expansion into the Northwest. The United States saw both of these actions as threats to its sovereignty, and so the reasons for the declaration of war were made clear to the British. York (present day Toronto) was sacked by the Americans, and the White House was set aflame by the British in retaliation. The great lakes were patrolled by combating warships of both sides, and the eastern US seaboard was constantly being pillaged by British troops. The war ended with ratification of the Treaty of Ghent, with both sides returning the others captured territory. The war saw the birth of a sovereign United States, and paved the way for an emergence of an independent Canada. The remnants of the conflict have been found in the soil of our own vineyards, but the peace between our countries is celebrated everyday, when we toast with our visiting American friends from south of the border. Some of the most pivotal battles of the War of 1812 took place in the Niagara Region. The major ones closest to our winery grounds were the battles of Queenston Heights, and of Fort George.